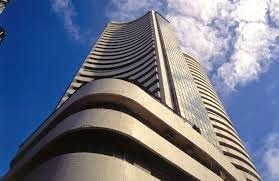 Nifty Sensex touch day by day new high, economy wpi index increase more than expaction that effect seen on market, global market also positive. Nifty touch new high 8135 above while BSE sensex made high, most outperformar sector metal, infra, energy and auto share. Bank nifty reality and IT share supportive trend. Natural gas prices edged lower on Wednesday after weather forecasting models continued to call for milder temperatures to move across the U.S. this weekend, which should cut into the need for air conditioning and thus reduce demand for the commodity at the nation's thermal power plants. Content Effort are really appreciable. Anyone can easily understand the thoughts. Also I like your conclusions made on this topic.